The photo (above) shows the funeral procession bearing the general’s coffin with pallbearers representing all branches of the Syrian Armed Forces. On Friday, September 14, 2018, Brig. General Yousif Raaghib Shakkoor, passed away at the Yousif Al-‘Azhma Hospital. His coffin was then carried to the Orthodox Church of the Cross where several eloquent eulogies were delivered by Lt. General Mahmoud ‘Abdul-Wahhaab Shawwaa (ret) who is Deputy Defense Minister speaking on behalf of the Syrian Army General Staff and his daughter, the Ambassador to France, Lamia Shakkour. Ambassador Shakkour was one of many Syrian diplomats ordered to close their embassies in the wake of the NATO and Qatari/Saudi-supported conspiracy against the Syrian people in 2011. Lt. Gen. Shawwaa discussed the deceased’s exploits as former Chief of the Syrian General Staff during the 1973 October War. His daughter, Ambassador Lamia Shakkour, discussed the affectionate nature of her father and his love for country, family and his close friends. Afterward, the procession headed to the St. George Orthodox Cemetery in Baab Sharqi where the general was laid down in his final abode. The coffin was draped in the flag of the republic with the words “Syrian Arab Army” emblazoned on it along with two (2) wreaths of roses, as is the tradition of the SAA. In attendance were Mansour ‘Azzaam representing the President and Commander-in-Chief of the Syrian Armed Forces, Dr. Bashshaar Al-Assad, Dr. Faysal Miqdaad, Deputy Foreign Minister and Dr. Ayman Soosaan, Assistant Foreign Minister. Brig. General Shakkour commanded the Syrian Armed Forces during the famed 1973 October War during which both Syria and Egypt initiated a coordinated attack on the Golan Heights and, Sinai respectively. While the Sinai campaign got bogged down with Zionist forces after the Apartheid State mobilized its army and crossed the Suez to strangle the Egyptian Third Army (a campaign led by dead Russian-Zionist slob, Ariel Sharon, real name “Ariel Scheinermann”), the Syrian Army was forced to retreat to defensible positions and commenced a very effective “War of Attrition”, blunting the Zionist attack at Sa’sa’. The success of the Syrian effort was due to the planning and resoluteness of General Shakkour and former defense minister, Lt. General Mustafa Tlaas who should have been in attendance at the funeral. I have received a message explaining that General Tlaas has health issues. Brig. General Shakkour is one of two (2) Christian Orthodox men to occupy the post of Chief of the General Staff. If some will remember, the second, Lt. General Daawood ‘Abdullah Raajiha, was murdered in an American/Zionist/Saudi plot that failed to decapitate the Syrian Army command in July of 2012. Obviously a Syrian patriot and hero. R.I.P. Rest in Peace Brig. General Shakkour. 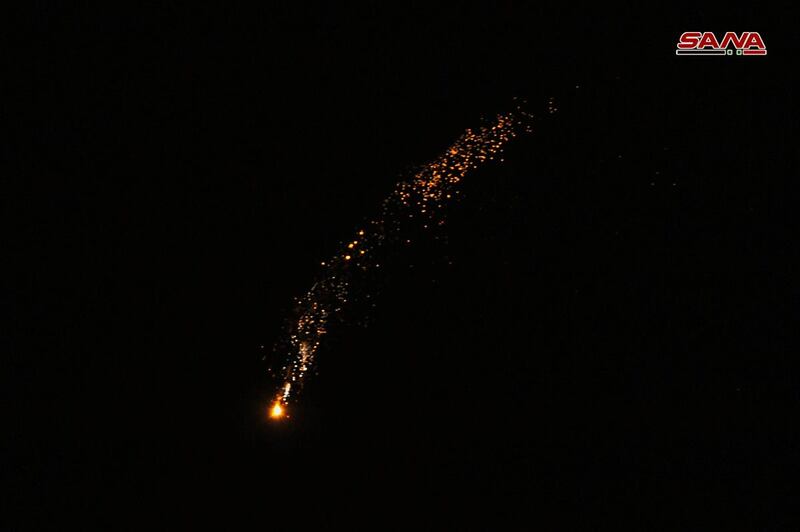 Syria produced many heroes and martyrs in the past few decades, a new generation of heroes are being forged during these 8 years of war of aggression against the Syrians. God bless them all. Some that died deserve life. We are in a battle between honorable men and the criminally insane (London & Paris bankers). War will make corpses of us all. How will it end? US has airlifted Marines and Special Forces with Osprey + various equipment/supplies including Mk 153 SMAW, around Al-Tanf, Syria. They never learn. Such a pithy. Very good interview about Russia, Syria and the criminally insane British self-proclaimed elites. Reuters is owned by the Thomsons a Canadian old money Oligarchy family (around $30 billion net worth, according to Forbes). I worked for a company once that was taken over by the Thomson family. They are like the mob, they arrived to the meeting they had set up with the employees to inform us of our now being a purchased part of their empire in a convoy of black limos. It really felt like a mob style takeover, and I left that company shortly after that. 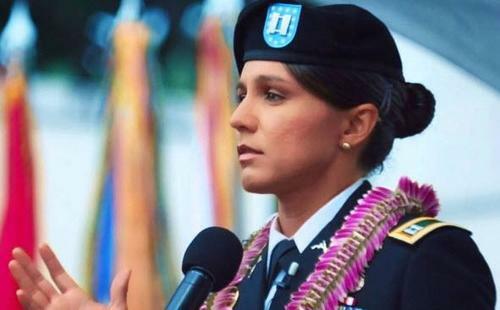 Ziad’s hero > Tulsi Gabbard Slams “Betrayal Of American People” Over Syria. “Hawaiian Congresswoman Tulsi Gabbard 13 Sept. slammed Washington’s standing-up to protect 20,000 to 40,000 al-Qaeda & other jihadist forces in Syria, and threatening Russia, Syria, and Iran with military force if they dare attack these terrorists. A betrayal of the American people – especially victims & families that perished on 9/11.” (again and again I salute Tulsi Gabbard, a brave, determined heroine for Syria. Mike). Those two murderers will murder no more. Condolences to the family of this obviously brave man.